The title of this episode is actually a rather archaic form of Japanese (y’know, stuff like ‘Kaze Tachinu‘) and I’m not really sure how to parse it. 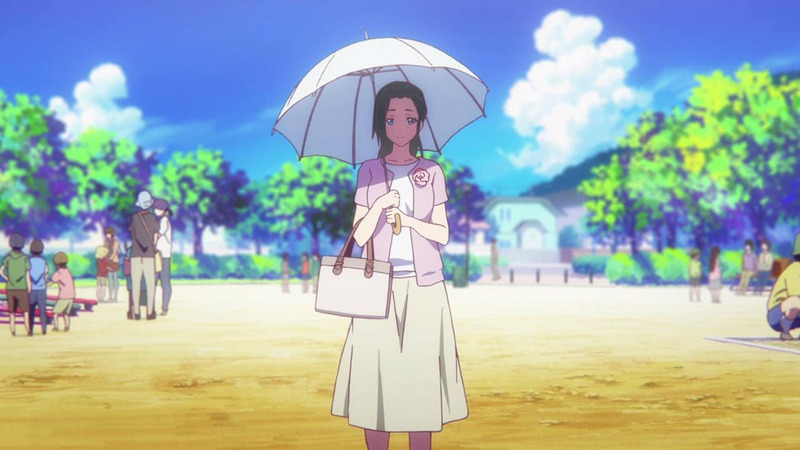 Crunchyroll has it as ‘The Mother Hath Returned‘, which is abominable. So, this show is about phantoms. 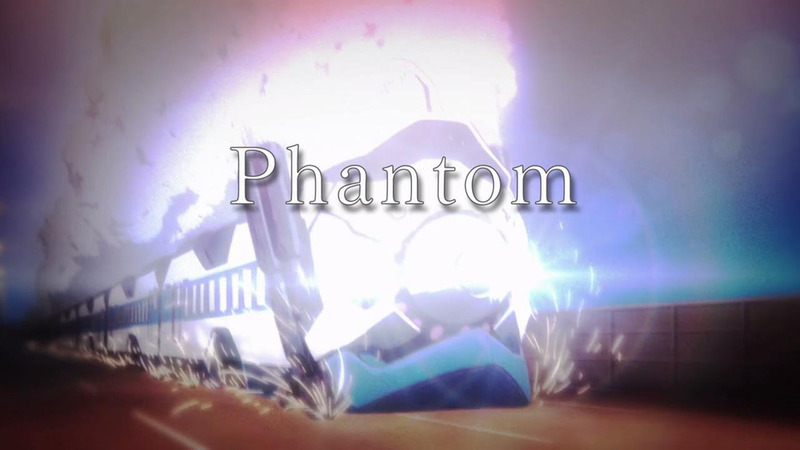 It has ‘Phantom’ in the title. And finally, in episode 12, is a Haruhiko lecture about phantoms. 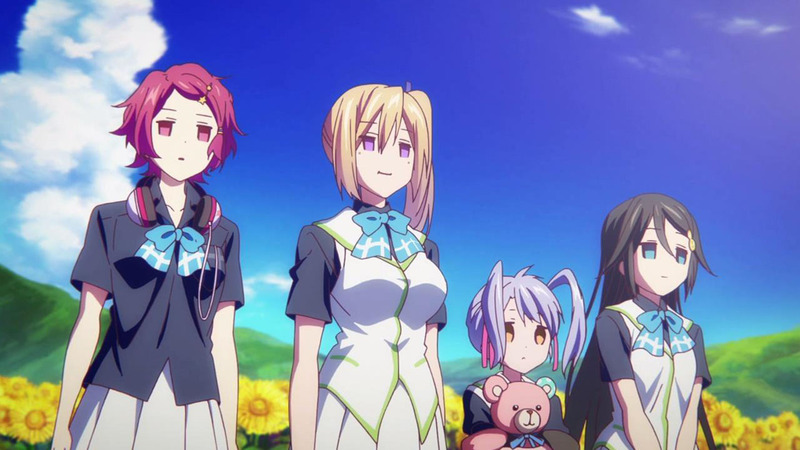 Which, I suppose, is Musaigen no Phantom World‘s way of saying, the show starts now. This has been a long time coming. But, somehow, at the same time it also felt very sudden. 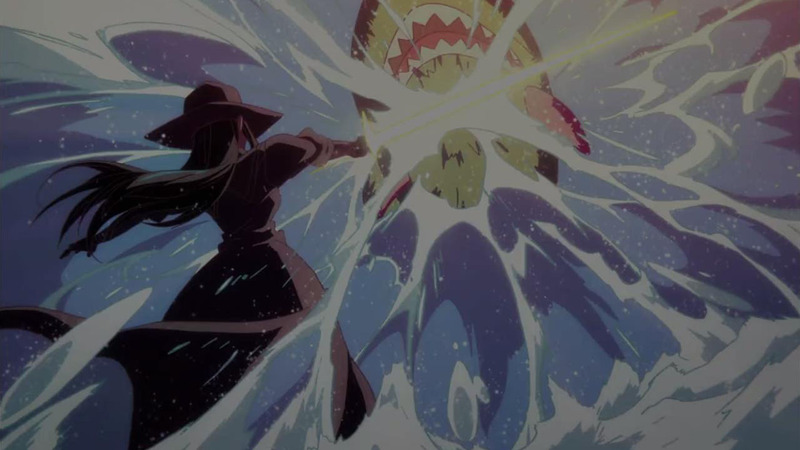 One would think that the mostly serious episode last week should have been enough to ease us into a big finale arc, but everything still felt like a sudden progression, in that previous gag material is suddenly not. The fights are now played for drama. The Phantom Menace is now played for drama. 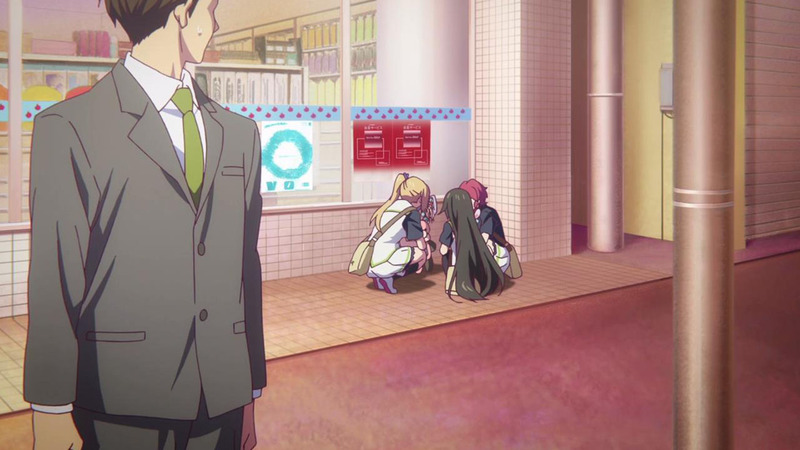 The fanservice is now played for drama. Heck, even Ruru—Ruru!—is played for drama, something that she didn’t manage to do even in her own episode. 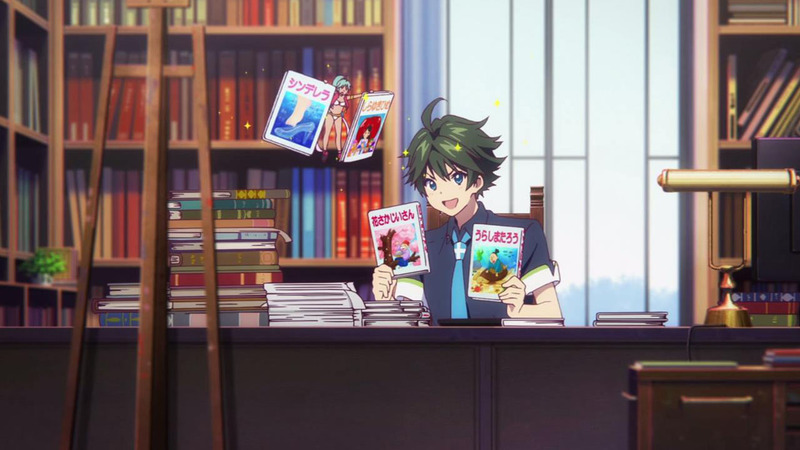 While there were still some humour to break things up, those are no longer the over-the-top, episode-centric gags that Phantom World had previously employed. 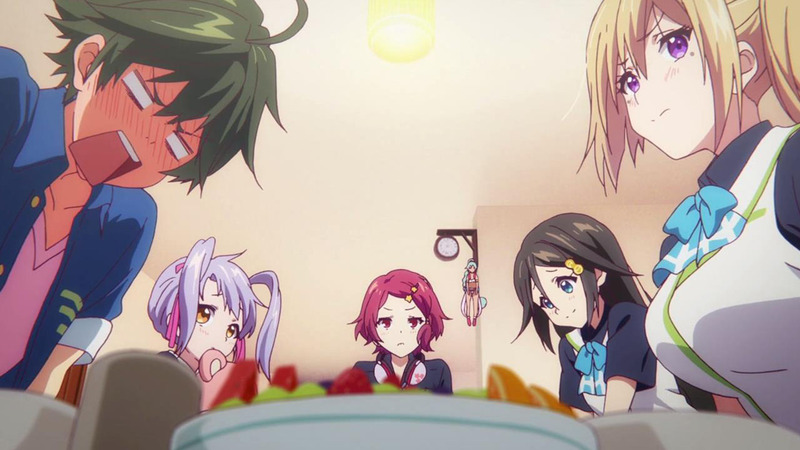 Phantom World has inverted from mostly being a gag anime with schizophrenic bursts of seriousness to a serious story with some lighthearted dips in the tension. It’s strange, and I’m not sure how I feel about it. I think I’ll save the conclusions for next week, which would also save me from having to do serious analysis until the finale. 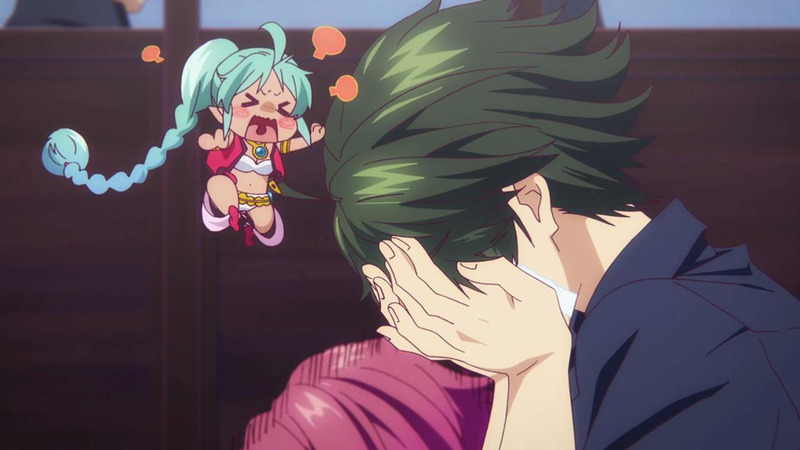 I will admit, though, that this episode has been the most not-dumb that Phantom World has ever been. 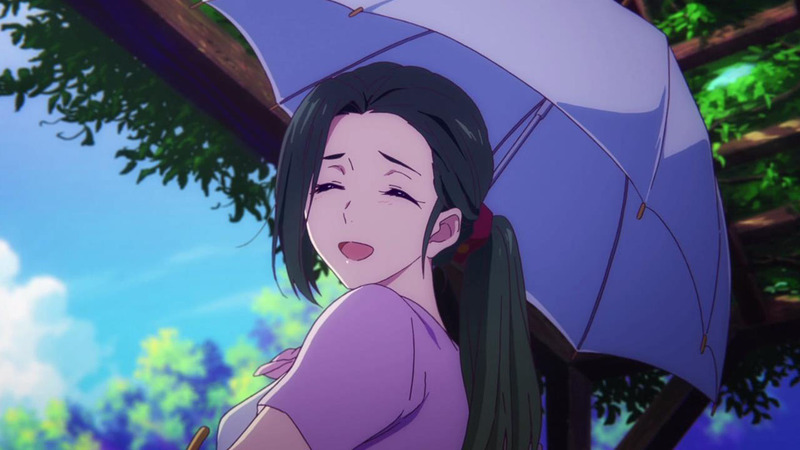 I was thinking how awfully suspicious it was that Haruhiko’s mother just pops up out of the blue after an episode about her, her easy it was for them to have their confrontation and then patch up, and immediately after everything is hunky dory. 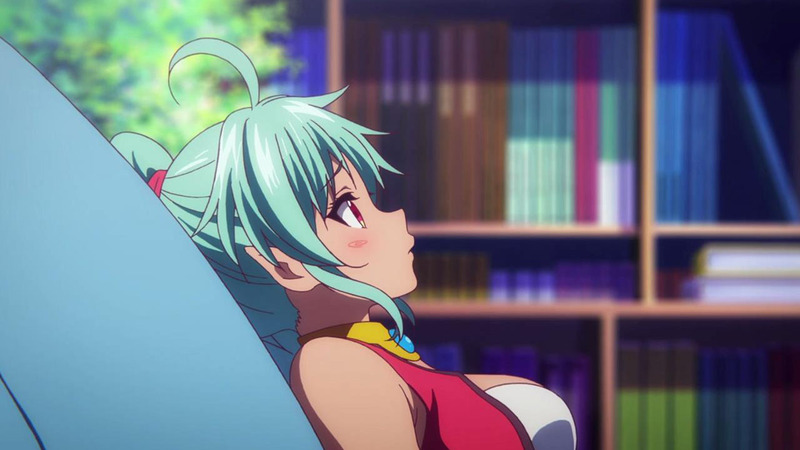 And lo, Phantom World is actually self-aware, with Ruru questioning how suspicious it all was! It was incredible! Characters on Phantom World never used to call this stuff out! 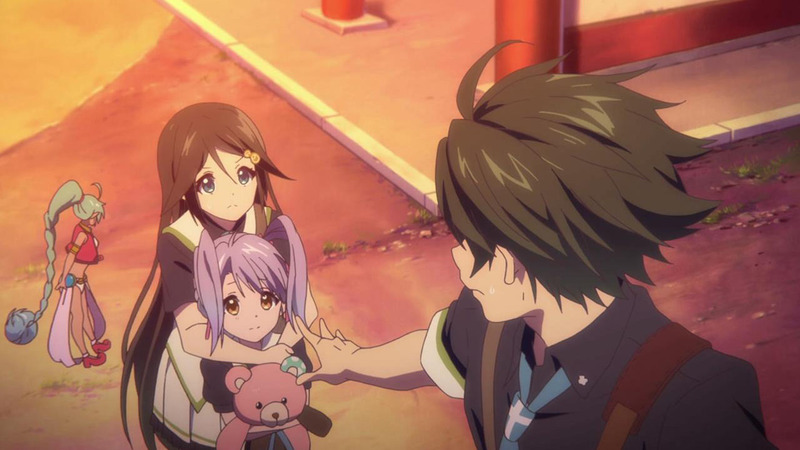 It’s almost as if Phantom World was actually taking its own narrative seriously! 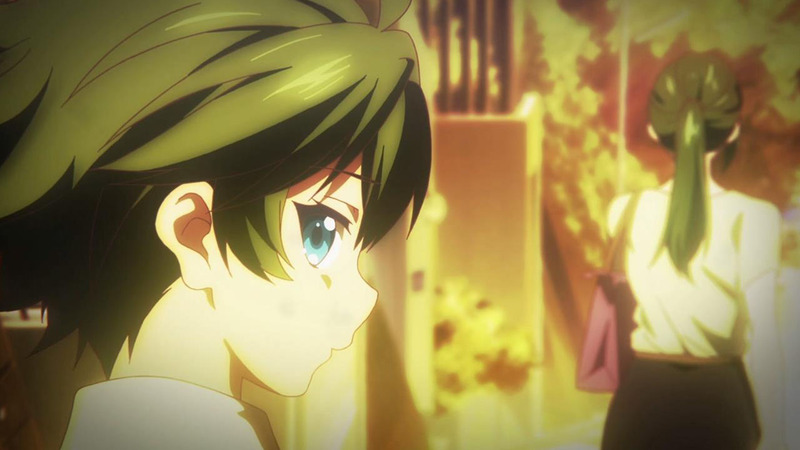 Sure, if we dig into the details it’s still all contrived (let us not pretend that the ‘Enigma’ phantom is anything but yet another monster of the week created for the sole purpose of driving this specific piece of plot), but while Phantom World has been content with letting its cast be brain-dead before, it’s now infusing them with a level of competency that almost—almost!—borders on agency. Wow. I’m so proud. 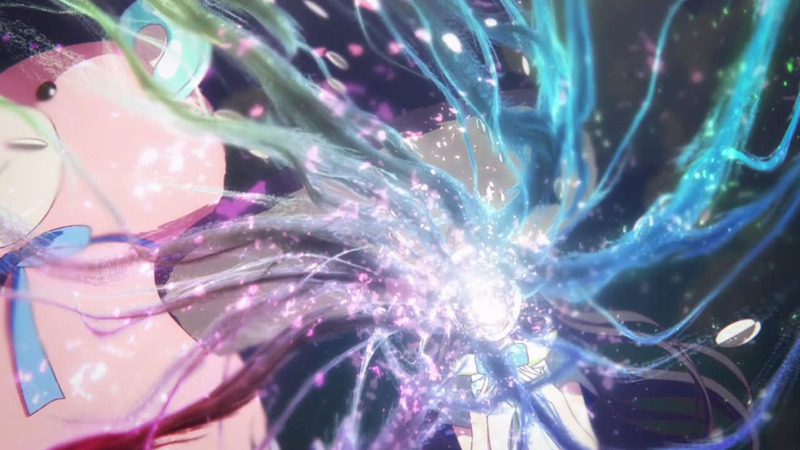 But while this has been a relative triumph for Phantom World, it’s not like it hasn’t hinted that it was capable of functional storytelling before. I am concerned, despite my highest regard for this show, that even this grand finale is already overshadowed. 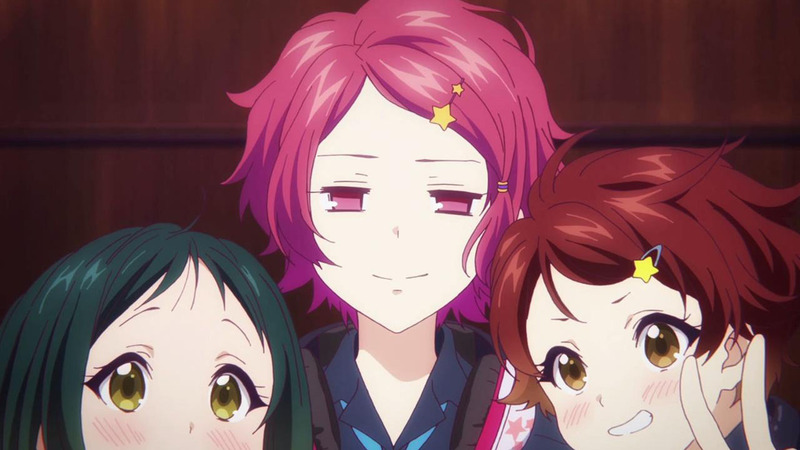 We’ve had a variation of the phantom family with Reina’s story. And, in my opinion, Haruhiko’s issues with his mother were tackled much better already, in the episode right before. And the phantom possession reminds me of Yumekui Merry, which is unfortunately not a good association (which is no fault of the design, but let’s face it, the design of this phantom is a random grab bag). 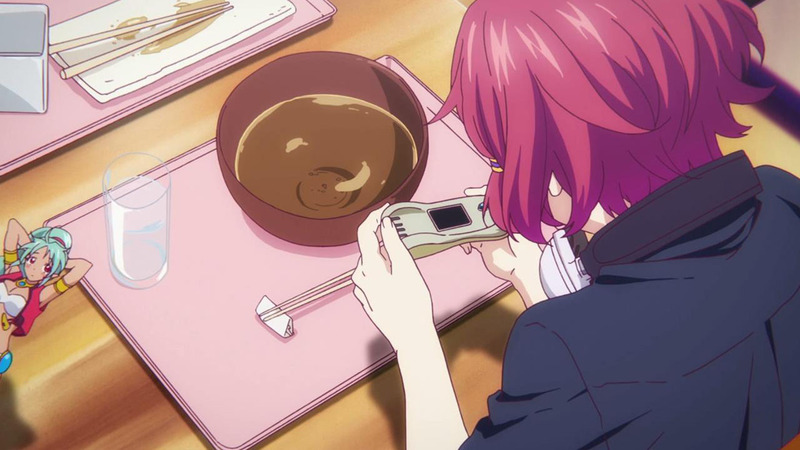 We’ll have to see how all this sudden PLOT is going to pan out, because right now I can’t really tell what we were doing here except 1) introduce a strong last boss and 2) poke at Haruhiko’s family issues again for no related reason. No doubt the plot coupon will be instrumental to explaining everything (or, at least, invent some extra depth that needs explaining). They’re not going for a season-2-cliffhanger, are they? Ugh, that gives me the chills. No, surely not. I dread the very thought. it seems like Sakurako-san Carmen Sandiego is now a Phantom. 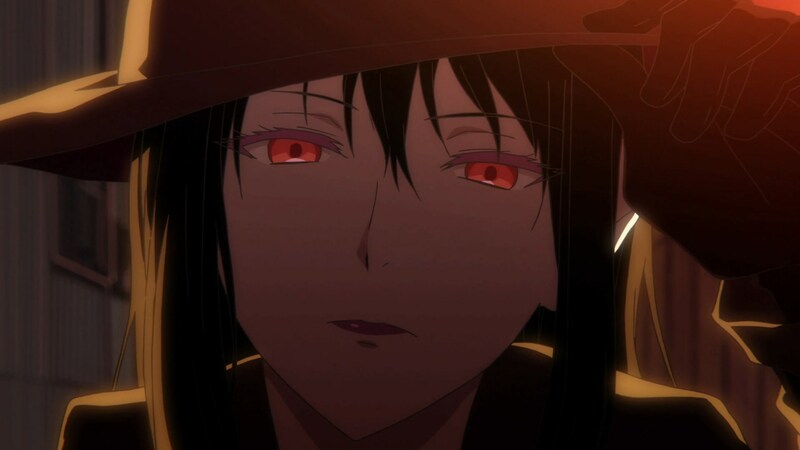 Kind of refreshing too since decent, no-nonsense, overpowered female villains in anime are kinda rare these days.. But yeah, holy moly, an episode where the characters are actually following my advice and going ‘maybe it’s a phantom’ the moment something feels off! My, will the wonders never cease. The entire story was somewhat capably told at the very least as well, as it’s better at keeping me invested than talking teddy bears. It is kind of lame however that the final boss is this random phantom, and any talk of a conspiracy or whatever has been long forgotten. Wonder if that dumb plot coupon is ever going to serve as more than a random mcguffin that will likely serve as a deus-ex-machina button in the fight to come. Hell, maybe they still won’t do anything with it and it’ll be this show’s equivalent of the GS Ball from Pokemon. And what’s wrong with Yumekui Merry! I mean, sure, the show wasn’t great or anything, but it was a better show than this (in the first half, anyways). And regarding the Oedipus Complex, I think Freud would have a field day with this one. 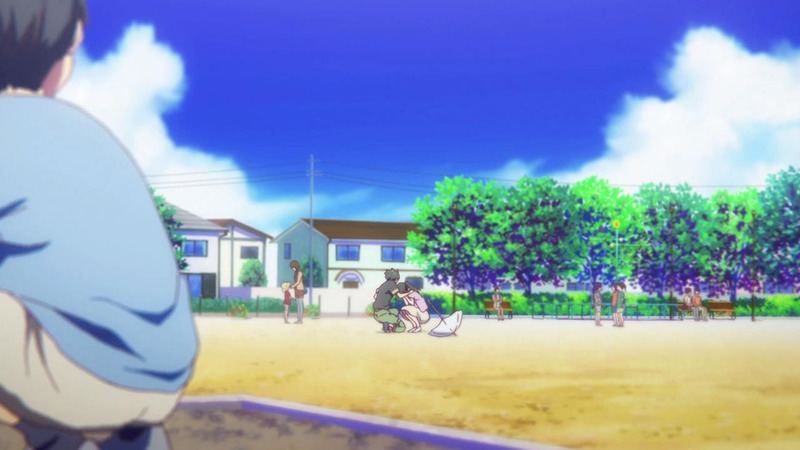 Last episode already featured Haruhiko’s love interest serving as his mom for a while, and now his real one shows up. She’s still young-looking and pretty, subsequently explains that she ditched her old husband and then immediately moves in with him. They get pretty cozy together, despite not seeing each other for many years, and then the episode caps off with her kissing him. Yes, phantom possession and everything, but the phantom may be giving him exactly what he wants in the process of manipulating him. Meaning it’s still his desires that are causing it to act this way in the end. Dude might need therapy, is what I’m saying. Lots and lots of therapy. Yumekui Merry ended poorly with original material, is the problem. 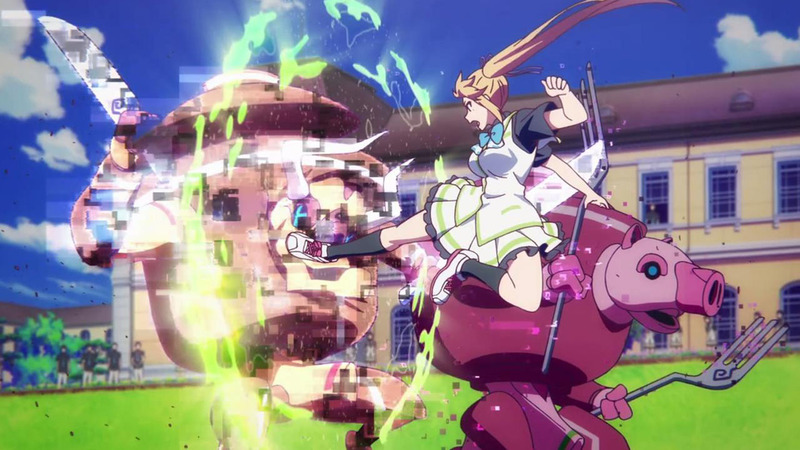 Yeah, running/ending with anime original material is pretty risky and, sadly, more often than not, tends to hurt a series more than helps; usually because, over the last few years at least, it tends to simply be using typical tropes and cliches like constant fan-service to distract viewers, failed comedy, of the week, etc. 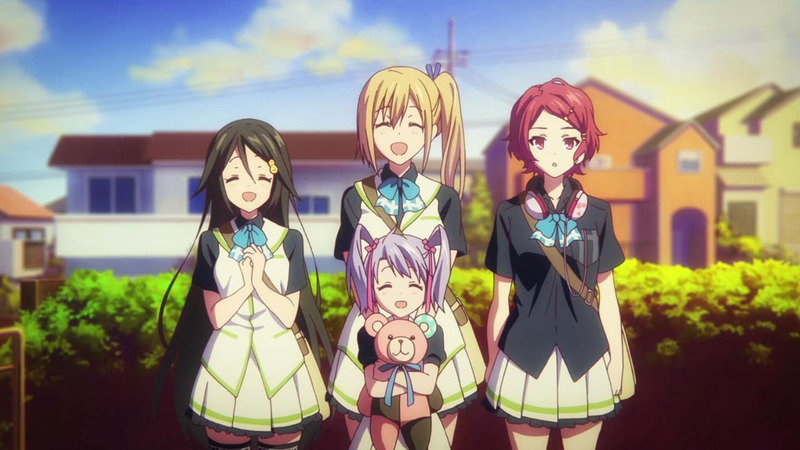 in place of actual story if there’s supposed to be one which is what ended up with Phantom World here (though, admittedly, was still overall more enjoyable for me than Charlotte). Of course there are times where it works but it needs to be carefully executed so it can still be satisfying. 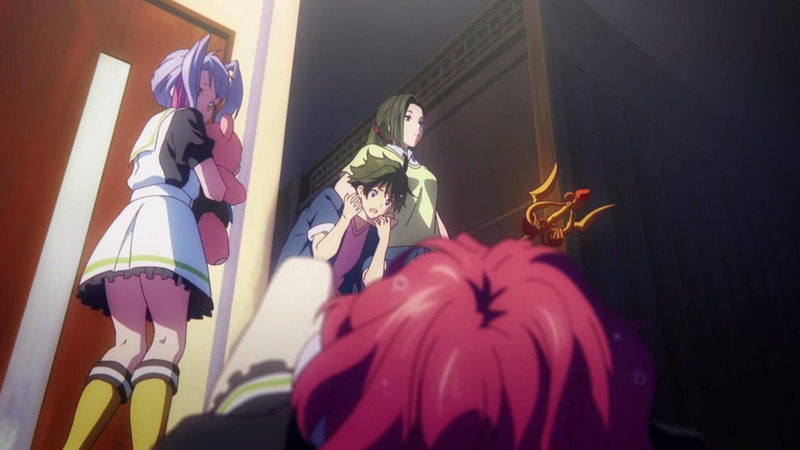 This episode sure was cruel to Haruhiko. That phantom is pure evil, taking advantage of him like that. this is all nothing but a dream of Haruhiro, because everyone is dead and there’s an ongoing war against the phantom? Oh come one Phantomn World. I’ve been open minded about all of the crazy creatures you’ve introduced in the course of this series but now you’re just getting desperate and silly about it. 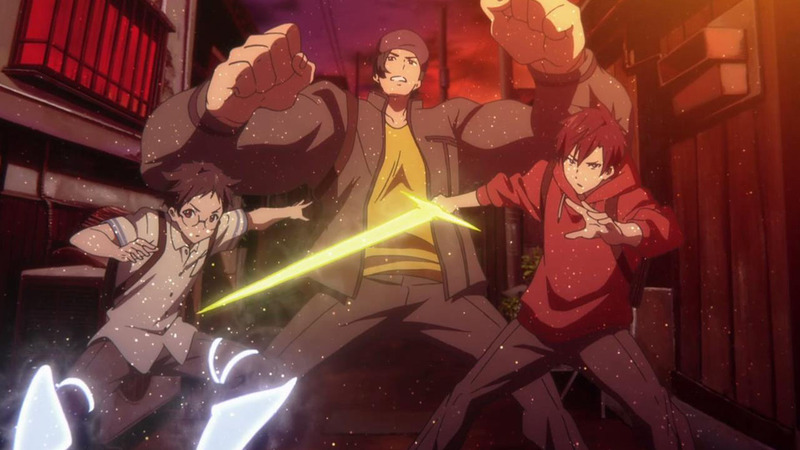 Who the hell is going to believe it when an actual parent shows up in an anime? Everyone knows they’re just make believe creatures who are always either “working over seas” or are otherwise only alluded to existing but never shown on screen. I saw that twist coming a mile away. 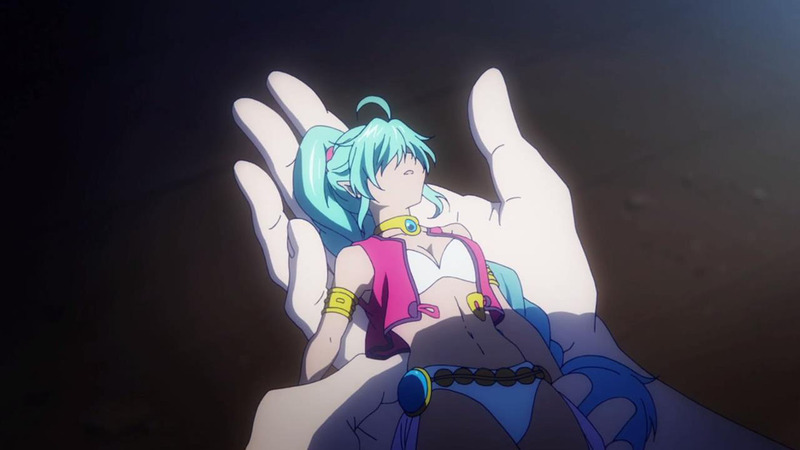 Given the opening lecture about Phantoms, I’m guessing that Ruru being unconscious is because Haruhiko was drained of his special abilities. I think she’s a manifestation of his subconscious (which makes sense since she’s always around him). They pretty much hammered that home in the opening. Probably see her start to fade or something to up the tension/feels. Yes yes yes yes. This is what I have been looking for. The fun begins here. I find it interesting how much of the stuff this episode touched upon was introduced in the “pointless” episodes earlier in the series. At first it looks like we’ve come full circle: a re-explanation of Phantoms, the scene in the courtyard. But really, this great episode further reminds us that we’ve accomplished very little throughout this series. Indeed, the show is only starting now. Again the theme of family is explored, and it’s finally considered in relation to its past treatment. The gang gathering around the table, quizzed by Haruhiko’s ‘mother’, helped active viewers tie together the show’s work on the subject of the imagination acting in loco parentis. I’m glad, but inevitably disappointed; these are links to a few key moments, rather than developments over the whole series. The connections are frail, and easily forgettable, which is a shame considering how nuanced a topic we could be otherwise deep into. Enigma is the only baddie who could give our heroes a pertinent threat of ‘death’ – losing your powers means losing your place in this paradise of a school where every problem only takes an episode to solve. 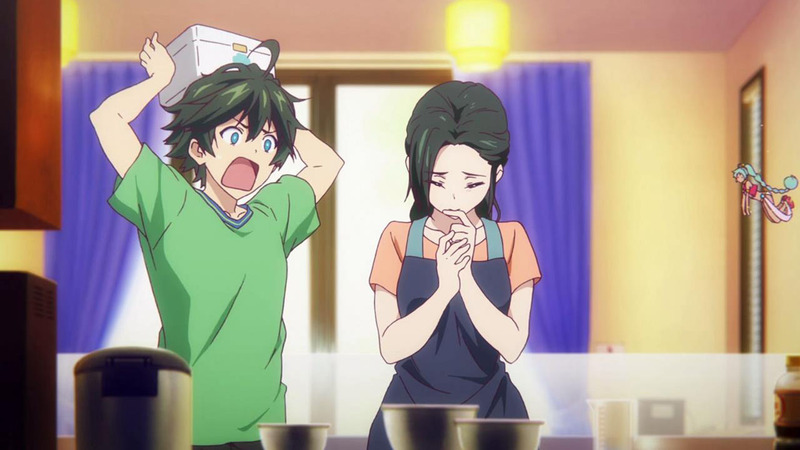 Haruhiko’s reunion with his mother should have been more dramatic, and the spectacle was a little moving, but it fell short. Enigma prefaced the scene with the obvious fact that things weren’t as they seemed. 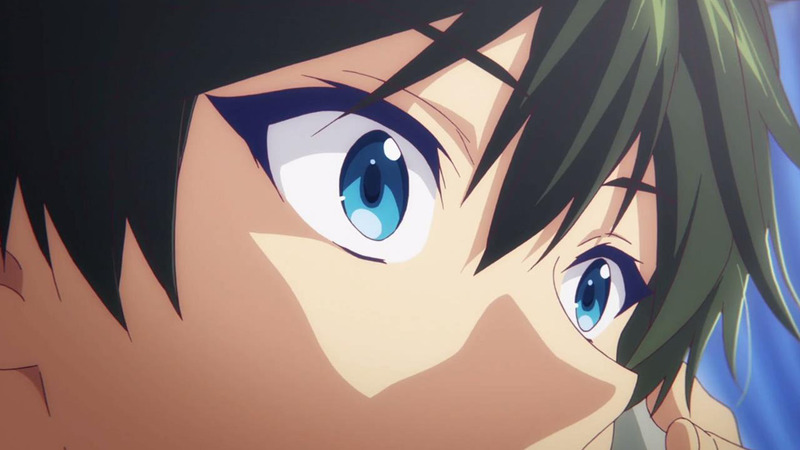 As for Haruhiko’s raw emotional output, when has this been explored before? Only last episode, and bringing out the ‘feels’ for his mother coming back make that previous story seem far less integral to his development. 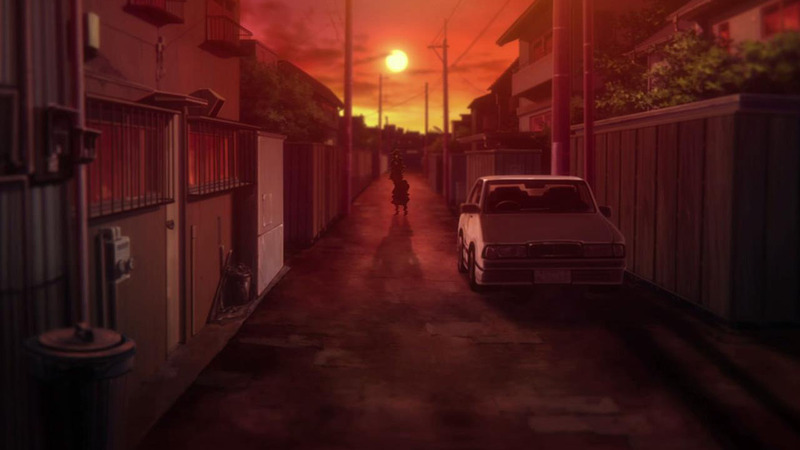 Had he flashed back and been allowed to remember his moments as a child with Mai, instead of flashing us a new scene that told us nothing more than the emotional material we needed, there would be a greater sense of character development to this point. As it stands, this scene could have happened any time. If all we needed for Enigma to appear was our cast to have become the best, why couldn’t we have filled their journey there with stories more pertinent to what has actually turned out to be an exciting plot? 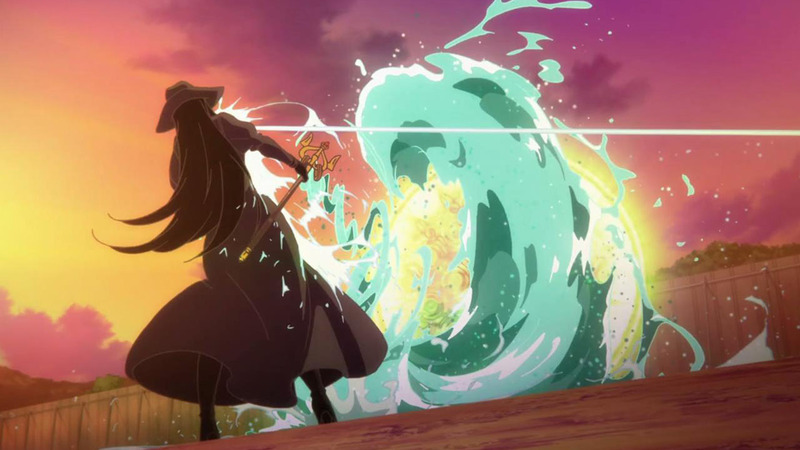 Enigma’s lust for powers riffs off Haruhiko’s command of the powers of other phantoms. This could feel like the climax to the whole series, but instead it only feels like a mountain of its own momentum. 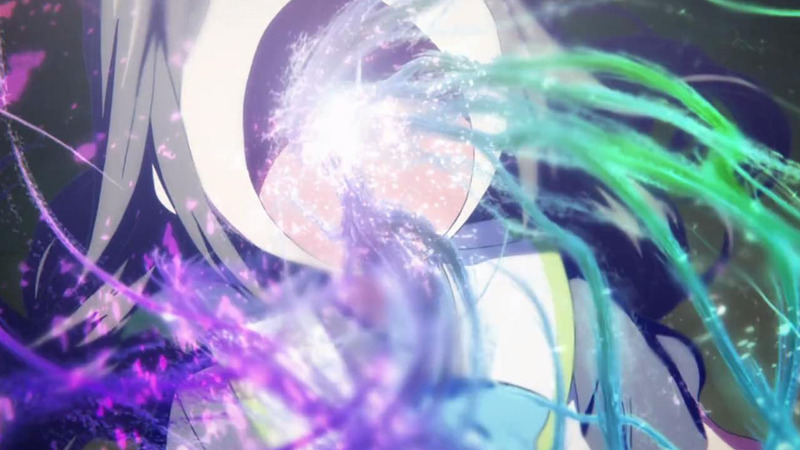 Sadly, I’m with Enigma; the powers in this show have been wasted on humans. 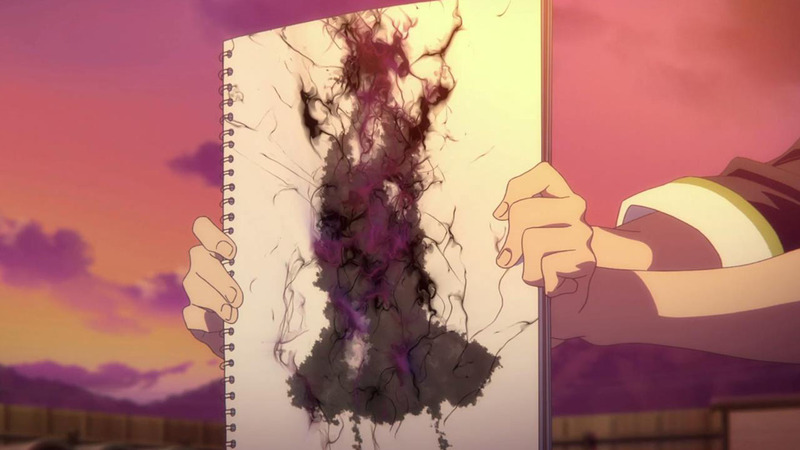 Maybe if a phantom had written this narrative, it could have been more focused, more imaginative, and more deserving of KyoAni’s brilliant artwork. “Hey did you found out what that device does?” Oh NOW you ask about it! 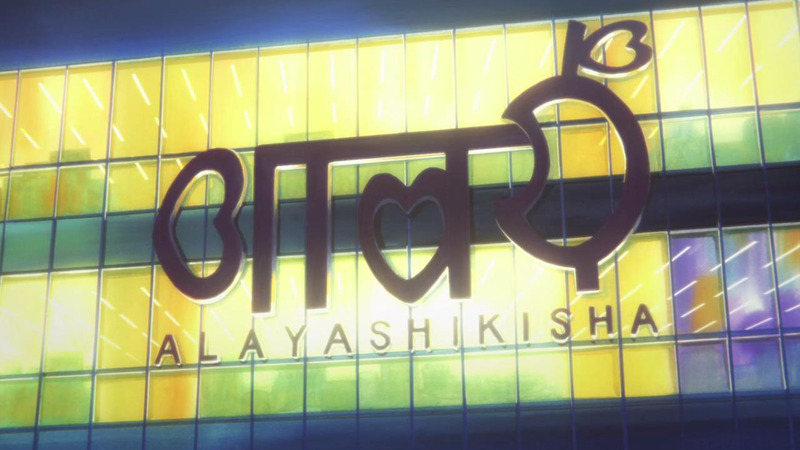 The odd choices in this anime makes be believe very much that KyoAni intends to continue it beyond one-cour. Just not next season. I don’t know what to base this on, but I just don’t think this Enigma is a phantom. My gut is telling me she’s human, and that she is actually Reina’s older sister. It’s kinda lame for me to be basing this merely on similar looks, which is why I’ll only call it gut feeling for now. 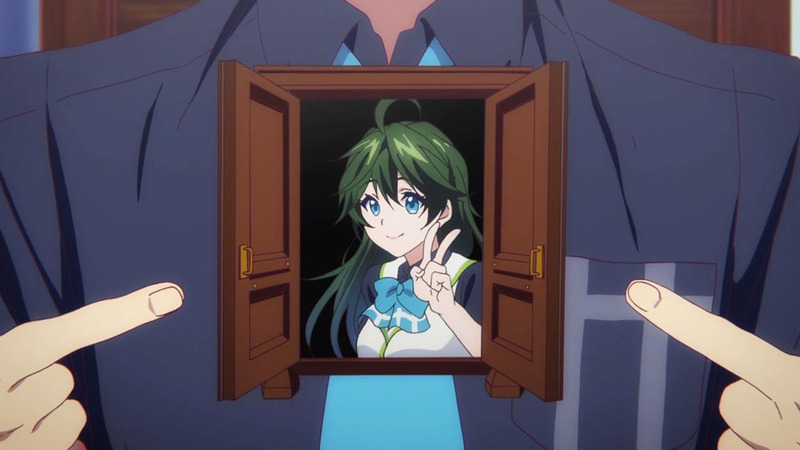 Which is of course not accurate since she was almost absorbed by Haruhiko’s drawing. It’s just that I find it hard to believe any human would be able to conjure up such a very developed and dangerous phantom from merely their brain as I personally doubt anyone has such brain power. 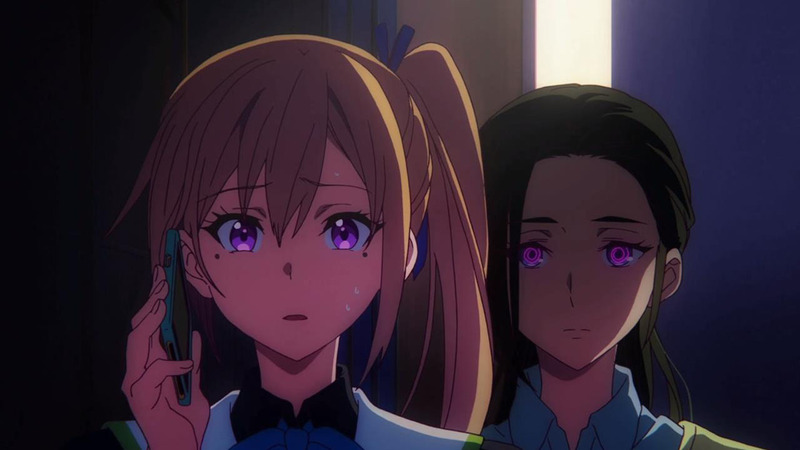 Maybe Reina’s sister turned herself into a phantom. Given how it is the human brain that creates phantoms, I don’t think that’s far fetched. 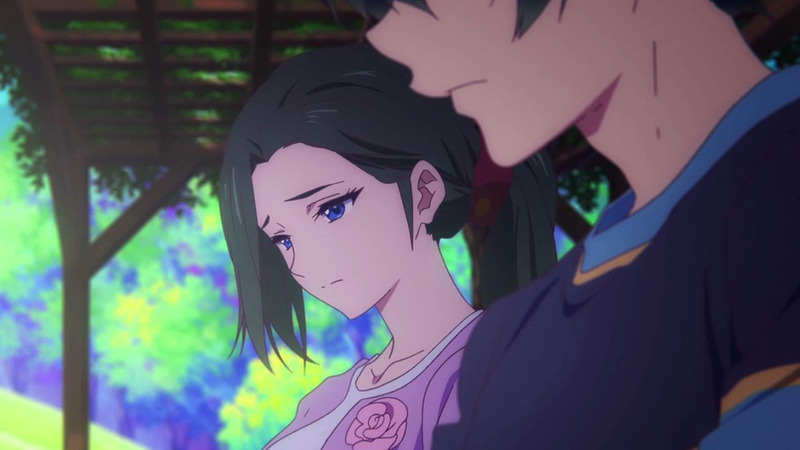 About Haru’s mom, I’m just hoping the fact that the Enigma was disguised as her doesn’t mean she actually never truly cared about Haruhiko. That would be sad, especially after what we’ve seen last episode. Well, gotta say this was definitely long coming. 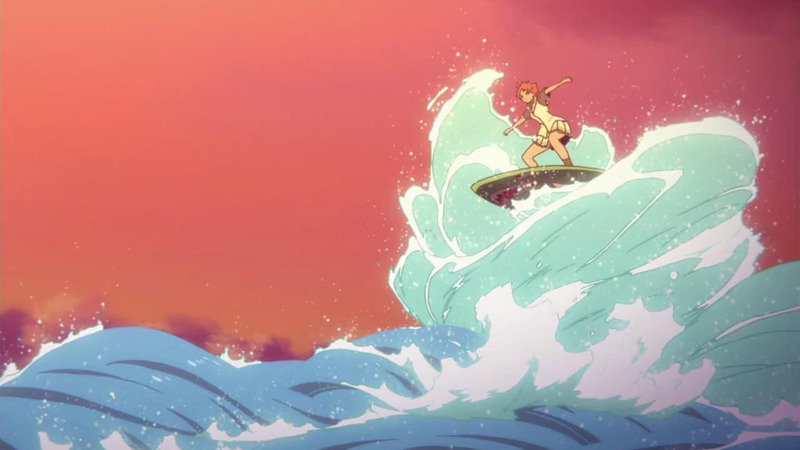 And if there is a cliffhanger for a second season, I only hope it comes soon after. It’s not fair, but if this was only a build up, I have some faith the second season will be more serious.